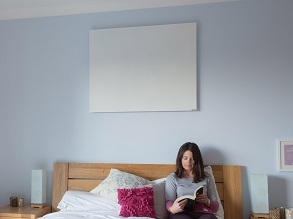 Call now on 01663 749027 for the lowest priced Infrared Radiators, alternatively, shop online for infrared radiators. The Herschel Far range is an expansive, variable range of infrared heating options for the modern home. Boasting unrivalled energy efficiency (so if maintaining a green lifestyle is important to you infrared heating is probably the way forward) infrared is a more natural way to heat the body as it mimics the action of the suns rays to heat, this is in contrast with conventional heating which heats the air via conduction and convection. Beyond the obvious money saving benefits, this form of heating reportedly carries health benefits including helping the immune system, circulation and more. There are a number of benefits of infrared heating panels. To understand them however firstly you need to know a little bit about how conventional heating systems work; they work simply by heating the air through simply conduction and convection which results in the air in the room being warmer. Infrared heating mimics the suns rays in many ways, giving off heat which is able to penetrate objects (including people) and provide warmth in a much more ‘natural’ way. Infrared waves can penetrate the body by up to an inch meaning that the heat reaches you internally rather than relying upon warm air to warm you via convection. A fantastic additional affect of the penetrative nature of infrared means the infrared heat penetrates objects such as walls, tables and other furniture in the room which in turn give off the heat themselves. The result is the furniture in your room becomes a heat source too, warming up and then giving off heat long after the infrared heating unit is turned off. 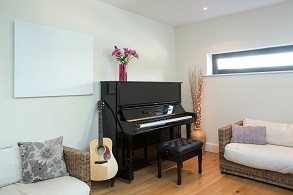 Heating the walls of the room also dries them out internally keeping them free from mould and mildew. 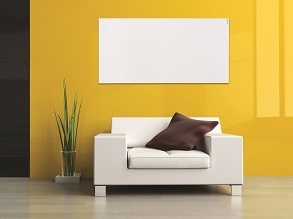 The previously mentioned nature of infrared is the reason you can position an infrared heating panel anywhere in the room and still achieve optimum heating. This novel efficiency makes means that infrared is super energy efficient compared to conventional heating methods. So for instance if you require a 1500 watt (5118 BTU) radiator to heat a room, the same level of heating can be achieved with a 500 watt infrared heating panel. Infrared heating is a real money saver, particularly through the cold summer months when you make the most of your heating. In addition to the practical benefits of infrared over conventional conduction/convection heaters there are other associated benefits. Research suggests that infrared rays increase circulation particularly to the skin, stimulates metabolism and due to raising body temperature helps stimulate the immune system. Infrared is used by doctors and therapists, and has been for nearly 60 years now to help a number of ailments. Hopefully get the picture. This is extremely versatile technology which we have a keen interest in. 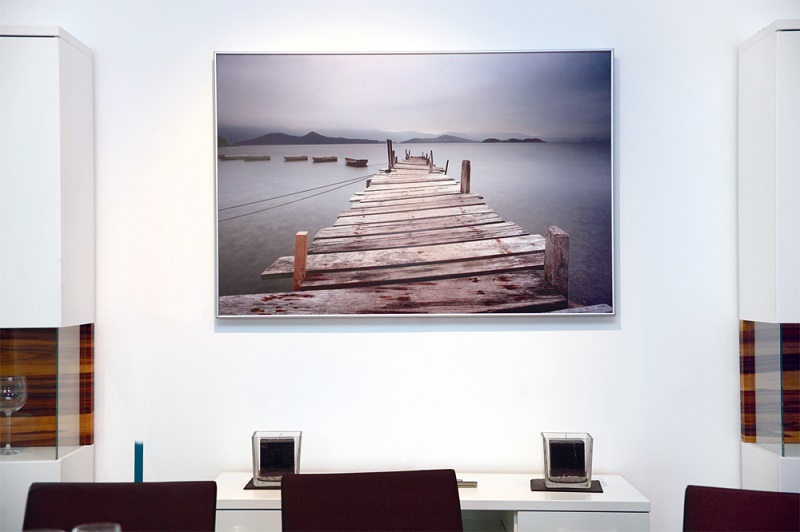 We love the fact that this infrared heating technology can be as subtle or obvious as you wish, an infrared heater can be hidden away or it can be a feature of the room (such as with the infrared funiture or printed panels, for instance). 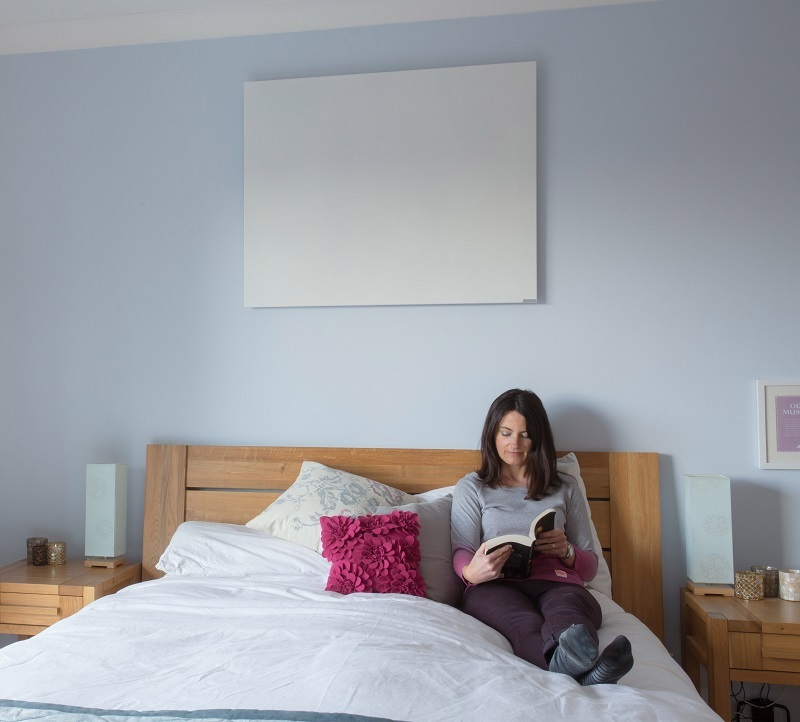 This is something quite new in the radiator world (even the most stylish of designer radiators have to be quite a lot larger than an infrared panel heater in order to offer a similar heat output) and we are eager to encourage as many people as we can to switch to this new technology. 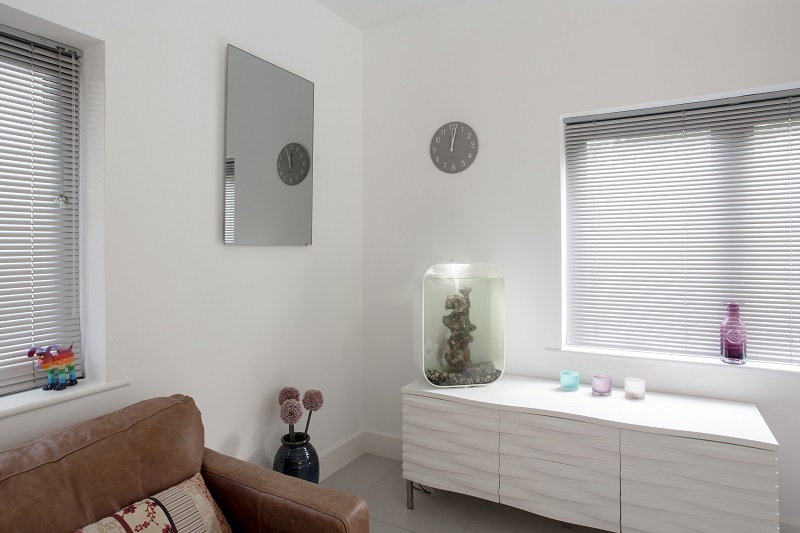 We feel that due to the move towards greener living infrared heating will be one of the primary methods of heating within the home and business premises alike. 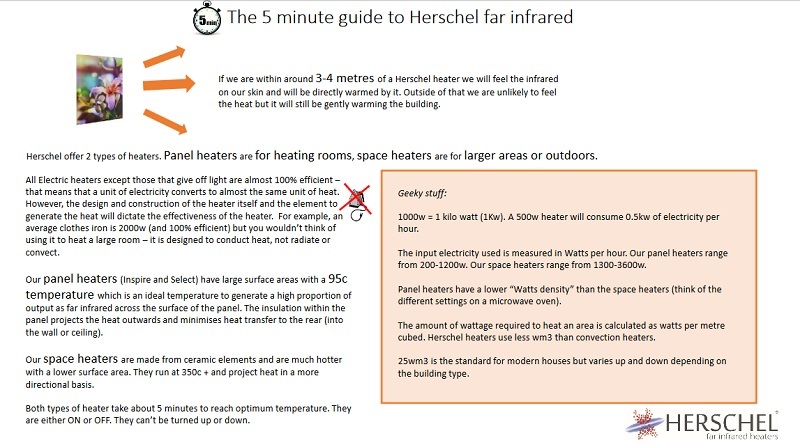 The Herschel Far infrared range isn’t simply about the numerous benefits of infrared, its about creating a functional, flexible heating system for any home. As such the heaters, which generally speaking are flat panel heaters (there are however exceptions to this however - such as the discuss heater which hangs from the ceiling, or the small wooden seat with infrared panels built in). As previously mentioned, and a point we wish to push, we firmly believe that this kind of heating is going to revolutionize the ways in which we heat our homes, particularly given the current push toward more energy efficient heating methods. 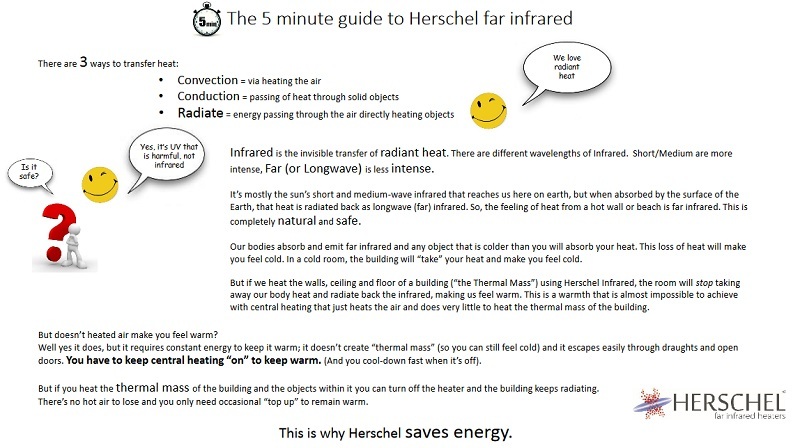 Choosing an infrared radiator from Herschel is an investment not only in cheaper bills but in the future of heating. 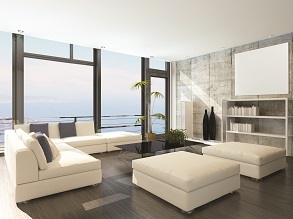 A bill to be passed in the UK in 2016 requires all new builds to be low carbon footprint - infrared currently represents the best choice for viable low carbon footprint heating. Below is a snapshot of the range Herschel offer. We work closely with Herschel however and are as such able to offer their entire range. You can contact us via telephone at 01663 749027, email on our contact page, or you can visit our designer radiator showroom.